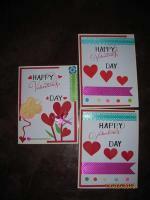 Lola Lim, one of our many readers, has graciously mailed me these greeting cards that she has made herself. 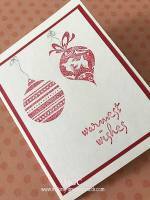 A cute fun card using paper-piecing. Indeed, the funky monkeys! 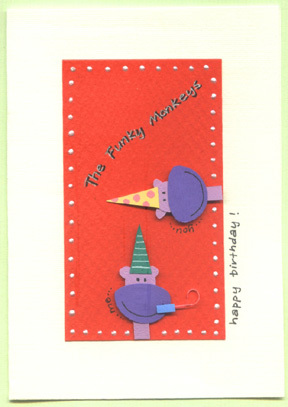 A Happy Birthday Card which is surely fun to receive and treasure. 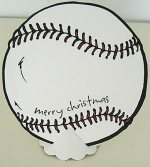 Another 3D card using paper-piecing, stickers, punches, dimensional ink pen and vellum. Red and Green Christmas theme. 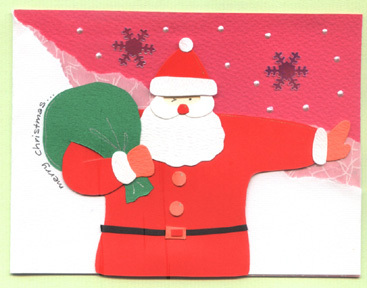 I love this Santa Christmas card. 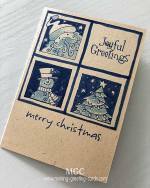 Much works have been put into the making of this beautiful greeting card. A sure-to-be-loved Happy Birthday Card. 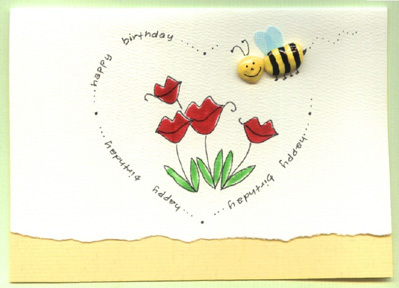 Heart, lips and a busy bee - a happy card for making someone very happy on his or her birthday. 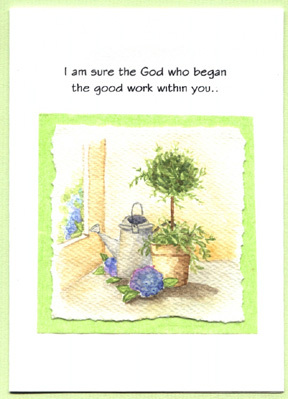 Another beautiful handmade card by Lola Lim with part of a beautiful message on the front; "I am sure the God who began the good work within you..."
Thank you Lola for sharing your creative works with us.